A coalition of civil society/anti-corruption groups based in Lagos have given the federal government a 48-hour ultimatum to cancel or reverse the planned concession of the Port-Harcourt Refinery or face a legal action. The group comprising 20 civil society organisations, including Centre for Anti-Corruption and Open Leadership, Campaign for Democracy, Centre for Change, Nigerians Unite Against Corruption and Grassroots Democratic Initiative, noted that the planned concession to Agip and OANDO Plc amounts to giving away another national asset to few individuals because it did not follow any due process. Addressing a press conference in Lagos Monday, the coalition noted that the deal is patently illegal, morally bankrupt and economically disadvantageous to Nigeria as a country. 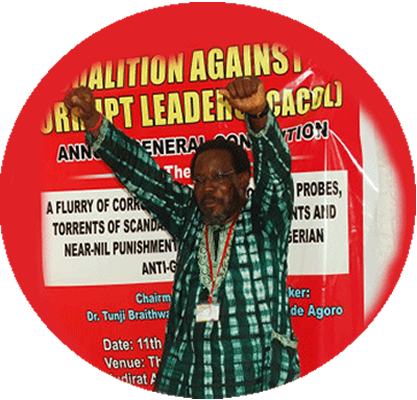 Next articleDebo Adeniran: June 12 election truly free and fair?